After a lot of snow falls, one dump of 24″, another one of 12″ and then another 8″ this past week, we finally have more than enough snow for the season. We also put on a high school race for the Section 7 teams in Minnesota at Pincushion. 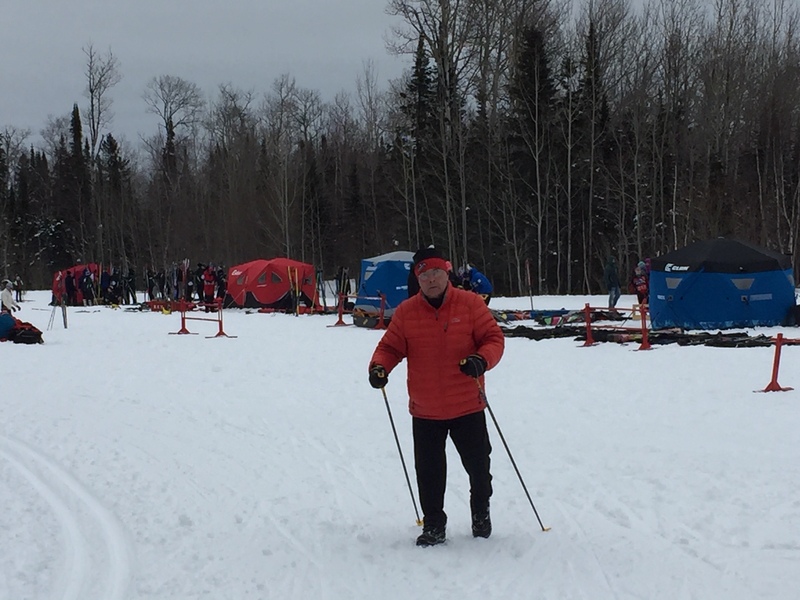 With the help of 30 volunteers from the community of Grand Marais, the race was success with nearly 300 kids competing in Varsity, Junior Varsity and Junior High cross country ski races. The photo above is in the ski stadium where a few of the teams brought a long their tents, some with portable heaters too. Now we’re in a deep freeze so its not going to get above 0 Fahrenheit for nearly a week now. But I guess there’s no reason to complain since it has been a fairly mild winter so far. These -15’s just bring it all back to reality in northern Minnesota for any winter.